It's that time of year again. The season I used to love best. The air is cooler and crisp in the mornings. The smell of the air will always remind me of so many things I've tried to forget. First seizures, first thanksgiving spent in the hospital and months of stress, sorrow and sadness. We do everything we can to make new memories around this time of year but the bad ones never fail to creep back in. Tomorrow, Piper will be four and I don't think I'm ready. Every year is more challenging even with all the blessings we have. Someone told me the first year was the hardest, I think it gets harder every year. Preschool starts tomorrow on her birthday. As I plan her party and get her stuff ready for school it hits me that I have been doing the same thing for years. Back to school preparing consisting of me adjusting her wheelchair, stocking up on diapers and pacifiers. Sadly walking through the school supply section of Target wishing I could buy her new markers and crayons and we could color together and talk about school starting. I try not to let it get me upset but it's so bittersweet. Once again I buy birthday clothes instead of toys because buying infant toys is just too much anymore. I plan her party and pray I don't cry when I see other kids running around playing and enjoying life like she can't. I pray that she doesn't have a seizure while we sing happy birthday and that maybe she will smile a couple times. I pray that she knows how much we love her. It will be even harder this year because it's the first year we won't have family here to celebrate. Something about having family here makes me think for a moment things are normal, things are happy. We are so thankful to have another year with her and try to think of the happy moments not the months she has struggled. Since her surgery in March things have been incredibly hard. Seizures were worse than ever and we spent every waking hour praying, begging, and pleading for some relief. We have cried more and been stressed out more than we have in years. We finally decided to add a new seizure medication in hopes that it would get her back to baseline. We also decreased the VNS and think it was the reason for all the gut wrenching screaming seizures. After three weeks, things are finally under control again. PRAISE GOD!!! We can leave the house again!!! We are so thankful but of course it comes with other challenges. With the months of horrible seizures she spent most of her days seizing and sleeping. Her appetite decreased and most of the seizures were so strong she would throw up during. We knew last week when we took her to the GI doctor the dreaded conversation would occur..gtube (feeding tube). I prepared myself and hoped by some miracle she had gained some weight over night but knew it would most likely be the main topic of discussion, and it was. Piper is so underweight that she is no longer on the growth chart. Our doctor is very concerned that without proper calories her bones and body will not develop as they should. The doctor knows we don't think she is ready for a gtube and suggested doing a high calorie diet for 2 months and if she gains 6lbs we will continue to feed her by mouth. If not we will need to get a feeding tube placed in her stomach provide her with nutrition. When you only weigh 28 lbs, adding another 6 is a lot. My first thought was I am already having trouble lifting her, what will I do if she gains 6 lbs?! I will be working so hard to fatten her up just to work even harder to lift her. When she was little I remember thinking I won't have to worry about her being too big to lift for a long time, but it's here already. Even with working out and lifting weights it has become a big challenge for me. There are a few good things that we learned, a typical 4 year old is supposed to get 1200-1500 calories a day and she is nowhere close to getting that. We just didn't know and now we do so there is plenty of room for adding calories. We met with the dietician and she gave ideas on how to increase calories without increasing volume.We think she can do it as long as we stay on top of calorie counting and finding recipes. This also means all of her food needs to be cooked by us to avoid added sugar and processed food which can increase seizures. It's another thing added to our already rigorous schedule and it means we can't be lazy. We pray she can gain this weight and that we don't go crazy trying to keep up with it all! The next few months will be emotionally hard for us but we have great things to look forward to. Seizure control will allow her to go back to school and it is great for all of us. I have been able to start serving at church in the elementary program and it's great to be able to do that again. Justin is serving with the middle/high school students which he hasn't been able to do in 4 years. We are training for a marathon/half marathon in October and are so excited. We are in the process of buying a wheelchair van and should have it in a couple months. We have made it our own family tradition to go to the mountains every year for Thanksgiving and are looking forward to doing that in a few months. We have new friendships that are growing and it's something we have needed so much since we moved. Thank you all for the messages and words of encouragement during the past few months! Imagine the most difficult choice or trial in your life. Imagine a serious threat to you or a loved one. Now imagine living that moment every minute of every day for 1,326 days. When forced with a serious threat your body goes into fight or flight response mode. We all know how it feels. If you choose to fight your brain and body go into survival mode. Your hypothalamus tells your sympathetic nervous system to kick into gear to help you survive your present danger. Your adrenaline pumps, your blood pressure rises and all that matters is getting through the situation and returning to safety. Your brain doesn't rest, it is difficult to sleep, eat, focus and think of anything else. On a smaller scale, we have been in fight response mode since Piper's first seizure. It is relentless, exhausting and wearing on our souls. Epilepsy is an emotional roller coaster of inconsistency, sadness, fear and anger. We just want to take the pain away and help her be happy. Lately, it has become very hard to do either. Seizures are not consistent and with the recent VNS implant it has been another huge challenge with no end in sight. What we currently know is cannabis oil has been the best line of treatment, hands down. It worked best in conjunction with a seizure medication specifically for infantile spasms, Sabril. Unfortunately, the "rare" side effects of this medication were a reality for her as she began to have vision loss from the drug. It wasn't worth it to us to take away any vision she may have so we took her off of it. We prayed the VNS would take the place of Sabril without the harsh side effects. Not only has it not taken the place of Sabril but has made seizures worse. For the time being, the VNS is not working and we can only pray that over time it will. She never seems content or happy like she used to be and it may be from the VNS or the fact that she is no longer on sedating medication. She whines, cries and just seems uncomfortable all day. We hates seeing her like this and we are at another crossroad, another decision that keeps us up at night...what do we do next? We have done everything we can with adjusting cannabis oil and honestly it has helped us through the really rough times. We feel her current doses are working the best for her and we will continue to keep things were there are since we have exhausted our options. We still feel like it's just not good enough. We have seen better times and are striving to get there again. We hate the idea of starting another seizure medication but we also have to think about the quality of life for our family. We spend every waking hour discussing the next steps and we are honestly sick of talking about it. In the past month, seizures have morphed into something out of a horror movie. If you haven't seen a bad one, I hope you don't. They are violent, with ear piercing screaming that will stop anyone in their tracks. They last up to thirty minutes and she is completely exhausted for hours after. We have also hoped she didn't feel pain when she seizes, and now it's pretty clear she does. They are often startle seizures causes by everyday noises that cannot be prevented. I cannot tell you how it feels to sneeze and cause a thirty minute screaming, drooling, violent convulsion. It's an emotion no one should feel and it happens many times a day. It is something Evan is starting to understand and it breaks our hearts. We walk around on egg shells praying we don't cause the next episode and you can cut the tension with a knife. With all of the changes in seizures, the past few months have been very hard for Justin and I. We have so much going on and hardly any time or energy to deal with it all. We have become masters of distraction, masking, and any other defense mechanism that just gets us through the day. We push the limits in all areas of our lives because our limits are always being pushed. (have I mentioned we are training for a half marathon/marathon? )We have been conditioned to thrive on stress and problem solving seems to be our on mode of conversation on most days. Not all of these things are bad, just makes it almost impossible for us to relax and shut our brains down in order to rejuvenate for the next day. Last month,we had a very rough week and I began to pray for help, not for seizure control like I always do but for help in any form. Within the next week, God gave us sign after sign, people were there almost immediately wanted to help us in so many different ways. I have spent many moments in my life questioning my faith, wondering why things are the way there are. Every time I feel like giving up, something amazing happens and my faith is restored. People I barely know have contacted us asking how they can help. People in our church and community have reached out to us and we have breathed a sigh of relief for the first time in a very long time. We are not people who ask for help, especially me. I have always just done things on my own, only because I don't want to bother other people with my problems. For the first time I am welcoming help from others, and I should have done so a long time ago. Some of the amazing things that are happening in the midst of these trials have helped us focus our energy on the positive. Our amazing church now has a special needs ministry and we are able to attend service just the two of us. We know Piper is in good hands and they are loving on her which we know makes her happy. We are able to finally start connecting with people and making new friends. We also have some amazing people who have offered to watch Piper so we can spend time with Evan, have a date night or hang out with friends. 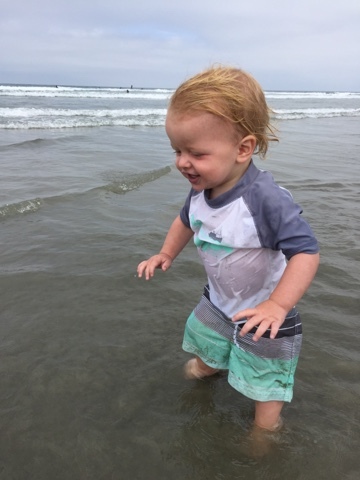 We were blessed to have Justin's mom come out for a week and watch Piper so we could take Evan to the beach. Since Piper can't leave the state with her medicine, going to the beach has never been an option so this trip was very special. Although it makes us sad she couldn't go it was refreshing to spend five days without seeing, hearing or thinking about seizures. The memories we made will last a life time. It's amazing how you cherish things so much more when your life is full of so many challenges. We also had a friend of mine from high school who contacted me and started a huge fundraiser for our next big purchase, a wheelchair van. Piper is a very tall girl, she is at the point where I have a lot of trouble lifting and transferring her to the car. It makes me question if the trip out of the house is worth the work. I don't want to get to the point where I stay at home all the time because it's too hard or dangerous for me to get her in the car. She cries when we transfer her so if we can limit the times we do so it will make her happy too. It's bittersweet, but we have started the process of getting a wheelchair van. It will help so much with her quality of life and ours too. We have been adamant about giving her typical experiences and this will only help us to be able to do so. This will be a huge purchase and we are trying to get a newer converted van so it will last a long time. The used vans we are looking at are around $50,00-60,000 before taxes! Thanks to so many of you we have already raised money to put towards this purchase and we are so thankful. I cannot tell you how much it means to us to have continued support from our family, friends and even people we don't know!! It is a constant reminder of the great things we have in our life and helps us focus on the good. We will continue to focus on the good, be thankful and give our kids the lives they deserve and thank you all for helping us to remember what is important!! Here is the link to the fundraiser if you want to share it, don't feel obligated to donate, many of you have already helped us so much in the past 3.5 years! It's been another trying month. Surgery went well and she recovered quickly without any problems. She hardly cried or complained at all which was a huge blessing but we are now facing some unexpected challenges. Since the VNS implant we have seen an increase in seizure activity. We were told the first few weeks after recovery would most likely cause some increases due to pain. We waited it out and expected her to get back to "normal" after she fully recovered. The device is slowly ramped up every week until the desired settings are reached. She has only had 2 out of 6 adjustments and it has been rough. After every adjustment we have seen a huge increase in seizures, up to over 15 seizures a day. Some of these episodes can last up to an hour, so the majority of her day is spent seizing. We think the VNS is actually causing seizures. We are frustrated and extremely disappointed. Our Neurologist said its unusual for this to happen but we have already talked to a few families who had these issues too and ended up turning off the device. All we can do now is push through the adjustments and pray things level out or turn the device off. We don't know what is best and have spent hours trying to decide what to do. All we have ever wanted for Piper is for her to be happy and as healthy as possible. We have tried everything and sacrificed our happiness in the process. We have always been willing to do this for her and are at a point where we don't know what to do next. With so many seizures we can't get out much and when we try it's usually more stressful than fun. We are praying for direction, patience and strength. Please pray for all of us. She deserves a break, please pray she gets one soon. It has been quite a while since I have updated the blog. We have made some big decisions and have some new things going on with Piper. Piper has been off seizure medications and is only using Cannabis oil for seizure control, it is pretty amazing! The last wean in October was pretty rough, but seizure patterns leveled out and we were able to establish a new baseline. She is currently having around the same or better control, without the horrible vision loss side effects. She actually has days where we see no activity at all!! The cannabis oil is really working! We are really surprised to see some new changes in mood, pain and irritability. Since her first seizure, Piper has been on pharmaceuticals, most with sedating side effects. We really have never seen her true personality or seen her communicate that she is in real pain. We have seen a new child, in good ways and in really bad ways. Since she has spent most of her life sedated, we can now see that many of her issues cause her a lot of pain and discomfort. She now has crying episodes that can last non stop for days at a time. These are full force painful screaming tantrum like episodes and there is absolutely nothing you can do but wait it out. The longest one lasted every waking hour for 5 days. There was absolutely nothing we could do to calm her down and trust me, we tried EVERYTHING. We have gone down the list of reasons for the screaming and after 4 months we think we have figured it out. We first suspected GI issues but during her last 72 hour stretch of screaming we took her to the ER and had a stomach X-ray and learned that was not the problem. We have methodically been keeping notes of when they occur and what variables are the same from the previous episode. We have consistently seen that crying episodes are caused by NOT having a seizure for an extended period of time. It seems that there is so much activity in her brain that is not able to be "released" via seizure that it builds up and causes extreme pain. Every crying episode is followed by a large seizure and then she is back to her happy self. We are now at the point where there are many days where we pray for a seizure....just to make the crying go away. It has gotten to the point where our whole family's quality of life is being affected. We haven't been able to take her anywhere because the crying is so bad. We alternate taking Evan to do fun stuff and try to keep him away from the chaos. He learned very quickly that screaming gets Piper attention so he does it too. 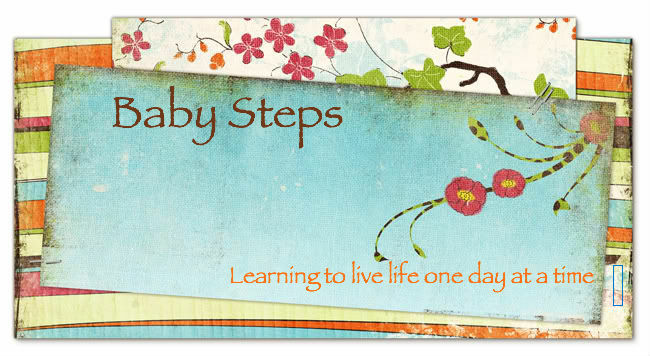 We have tried pretty much everything, the only thing that has helped at all, surprisingly is essential oils. They have helped with a lot of her ailments but we think that the pain may be a little more severe and we need to do something to help her get some relief. So with all of these new issues, we have been doing research and talking to our Neurologist about the best plan of action. The surgery will be on March 31 and she will also have a MRI and strabismus surgery. Since we are putting her under we wanted to get it all done at once. The strabismus surgery is a simple procedure that will help strengthened the muscles in her eyes and hopefully help with the crossing. It could possibly help with her gross motor skills and her vision. We have a very busy, stressful month and could use prayers. We know this is a great option for her with no side effects and slight risk for infection. It is still not easy to know your child is going to have surgery and a device placed in their body. Please pray that the combination of Cannabis oil and the VNS will finally be the answer! November is national epilepsy awareness month and my goal this year is to raise money for the Epilepsy foundation to help fund research. These donations will also help a new project called the Rare Epilepsy Network whose goal is to expedite research into the rare epilepsies including Aicardi syndrome. The project will collect data, improve treatments, provide a better quality of life for people with rare epilepsy like our daughter Piper. There is no cure for Epilepsy but there is so much more research that can be done into treatments, improving quality of care and educating the public. Every penny counts! Fall used to be my favorite time of year. My birthday, the leaves changing colors, football, a crisp to the air, pumpkins, and the fun fall activites. Since Piper was born fall has become a season we dread because the memories are so painful. Piper had her first seizure on October 15, 2011. It's a date we will never forget as hard as we try to. We spent Piper's first Thanksgiving in the hospital. Her first Christmas was filled with hundreds of terrible seizures. These are the times most young families are making precious memories and enjoying first moments with their child. October is here once again and with it brings bad news and difficult decisions. Decisions that no young parent (or anyone for that matter) should have to make for their child. We should be enjoying this time of year with both of our children but we are forced to put all of our energy (which isn't much) into figuring our what to do next. Our spirits are low and we are both physically, mentally and emotionally exhausted. Since we moved to Colorado all of our efforts have been focused on cannabis oil, seizure control, advocating and educating. It has by far been more than a blessing. This plant has helped so much with seizure control, alertness and awareness. Unfortunately with all of our focus on seizure control, many of the other terrible things that can occur with Aicardi syndrome have been put on the back burner. We prayed and hoped we wouldn't have to deal with these issues but now they are here and we have to figure out our plan of action. Sabril is the only pharmaceutical that has ever helped Piper's seizures. It comes with a cost, the risk of vision loss. When we first started this medication, seizures were so bad that we decided that seizure control trumped vision loss. We didn't have a choice. She has been on this medication for almost 3 years with no signs of damage to her eyes...until now. She is seen by an Ophthalmologist every 3 months for this very reason, to look for changes in her vision. We got the news yesterday at her appointment that there are changes in her peripheral pigmentation which means the medicine has started affecting her vision. We have always known this could happen but just prayed it wouldn't happen to her. We are faced with some difficult decisions that will affect her life forever. We will have to try and get her off this drug so the damage to her eyes does not continue. The scary part is we could see some serious increases in seizures. If this is the case we may have to continue the medicine and accept vision loss. I cannot tell you how hard it was to give her this medicine this morning, it was truly sickening. I am giving my child something that is causing irreversible damage and there is nothing I can do about it now. We spoke with Piper's neurologist today and he agreed with us that it is time to try a wean to see if it is really even helping her anymore. It will be a month long process and we will start today. PLEASE PRAY seizures don't get worse. This is the best control we have ever had so we are very worried and nervous to make any changes. It will be difficult to transition since I just started school and Justin has been traveling so much. Hopefully she will tolerate the wean and things will be fine. 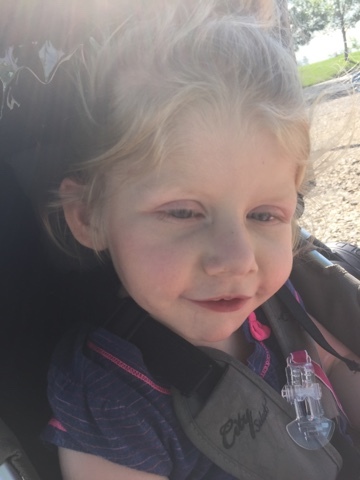 Earlier in the summer we suspected Piper was developing scoliosis which is typical with children who have low muscle tone. We took her to an Orthopedic doctor who confirmed our suspicions. He took xrays of her spine and hips. She has a slight curve (15 degrees) and her hips have not formed correctly. He did not act very concerned and told us to come back in 6 months. He also refferred us to a rehab therapist to help follow these issues and make sure we are connected. We met with her on Monday and she blindsided me by telling me Piper will need spinal and hip surgery in the next few years. The doctor had mentioned none of this so I was really suprised. I am very aware of the spinal issues as most of our Aicardi friends have gone through this or are currently going through this situation. I expected that it would be a lot later in her life before we talked about surgery. They mentioned that it will probably be need in two years and to go ahead and start meeting with the surgeon. They said bracing only prolongs the surgery and once she as scoliosis she will defientley need surgery. She also told me Piper will most likely need hip surgery in a year to correct the ball and socket issues so she will not be in unbearable pain. I asked if she needed this since she does not walk and shows no signs of being able to in the future. The doctor said she will most likely just be in tons of pain if we don't. I have already talked to the other Aicardi parents and the ones who opted for surgery said they regret it because the pain from the surgery and recovery was worse than the pain from the issue. So it looks like we have a lot to think about. On top all of this crazy news, Piper has just not been herself. For the past 2 months she has screaming spells that can last all day. There are many days where she will just scream or cry for hours and there is nothing we can do to console her. We have tried everything. We have done tests, taken her to every doctor to make sure she is not in pain but we just cannot figure out the reason why she has these outbursts. A friend of ours who has a daughter with Aicardi has been going through the exact same situation so we brainstorm what could be causing this behavior. We don't know if it is pain, boredom, behavioral issues or just frustration with not being able to communicate. It is exhausting for all of us. Evan has started mimicking her behavior so when she screams he does too. He sees how much attention she gets when she screams and wants that attention too. He is a very smart kid but we don't want him to be unhappy just to get our attention. We have some tough decisons to make but just like everything else we will figure it out with a lot of hard work and problem solving. I am going to end this post with things I am thankful for even though some days they are over shadowed by the negative. -We have a beautiful, smart, HEALTHY little boy who is an amazing blessing. He is almost standing on his own and will be walking before we know it. -We raised enough money (thanks to many of you) to have a service dog trained for Piper. Toby couldn't be cuter! -I just started school on the weekends to get my CNA certification. In Colorado, family members with CNA (nursing assistant) training can provide care for the affected person and get paid to do so. I will be able to earn some money and help with our financial responsibilities and that not only will help with bills but allows me to feel like I am carrying some of the financial weight. 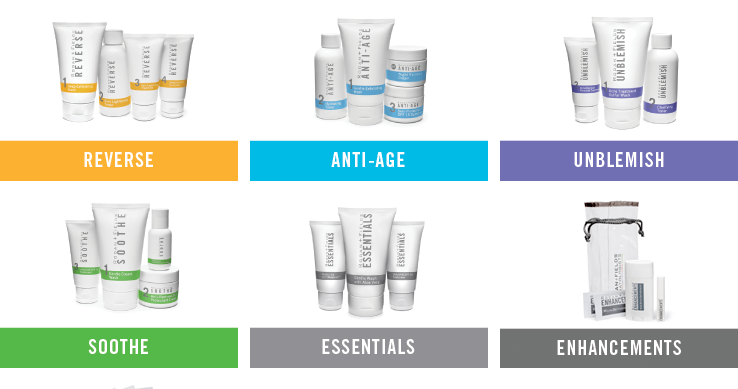 -My part time business with Rodan and Fields is doing really well and I have finally been able to provide some income and help with expenses. I haven't gotten a pay check since I was teaching in 2010 and it feels really great to be able to help out with bills. It's so much fun too and allows me to connect with people and help them love their skin. Thanks for the support, love and prayers. We have just recently started the process in getting a seizure response dog for Piper! As most of you know we had to leave our sweet pups back in TN with our best friends. It was one of the hardest things we had to do, they are our first babies! They are in a home where they get constant attention and are probably better off there. It's been hard not having them so a few months ago we started talking about a service dog for Piper. We came across a few companies that will train dogs specifically for people with eplilepsy. We had a hard time finding a company that would work with us since most patients have to be able to say commands to the dog, which Piper is unable to. Some of these companies charge up to $20,000 to train the dog so we thought it would be many years before this could be a possibility for us. I was on facebook and came across a friend's post about their seizure response dog and asked for more information. Surprisingly she told me the company is in Monument, Colorado which is 20 minutes away from our house! We quickly got a hold of the company to find out more information. They told us they can train a dog to see me as the master but what makes Piper happy pleases me. It will take more training but it can be done. We learned that these dogs can really do amazing things, like respond to seizures by alerting someone, getting a phone, getting rescue medicine, and comforting the patient after the seizure is over. We don't expect the dog to be able to sense seizures before they occur. What we do hope for is a companion for Piper. Our biggest fear with Piper is Sudden Death from Epileopsy (SUDEP). Piper often has seizures in the middle of the night, and while we have a monitor, they are often missed. With a seizure response dog, the dog would be able to alert us when these times occur. We also hope that he would be there to comfort Piper after the seizure is over. We don't expect the dog to be able to sense seizures before they occur. What we do hope for is a companion for Piper. Our biggest fear with Piper is Sudden Death from Epilepsy (SUDEP). Piper often has seizures at night, and while we have a monitor, they can be missed. We hardly get a good nights sleep because one of us is "in charge" of watching for seizures. With the dog we will finally have help at night and hopefully get some more sleep! The cost of training the dog will be almost $9,000. It would take us a very long time to save this money so we decided to do a fundraiser. We are overwhelmed with how many people have donated and are so excited because we are now on the wait list for the next available puppy! 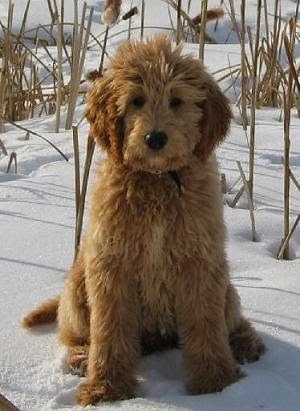 We will be getting a golden doodle and we have been told by many people this is an excellent choice for a service dog. Once they find a puppy we will begin training in our home. They suggest starting training when the dog is very small so he can be around Piper and possibly learn to sense her seizures. We just want to thank everyone for donations, spreading the word and continuing to support our family. We love you all!